Nearly opaque bright dark dusty color. Fruity, toasty savory aromas of dark fruits - black cherries, blonde tobacco - mint, dried herbs - xmas pies not quite mince meat, and pine cones - cedar with a lively, dry full body and a warming, complex, medium-length finish with chewy, well-integrated tannins and moderate oak flavor. Lots of Gran Reserva Rioja-like character here. Bottom Line: Lots of Gran Reserva Rioja-like character here. Tempranillo is the principal grape of Rioja, Spain's most famous red wine. The variety has beautiful red cherry, blackberry and mulberry fruit with medium-weight tannins, good acidity and complexity. 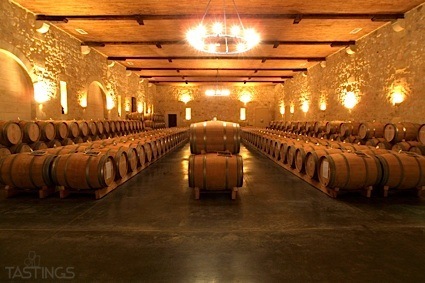 it is generally aged in older oak barrels in Rioja to soften the wine. Tempranillo is also grown in other regions of Spain, such as Ribera del Duero and La Mancha. It also produces important wines in Portugal and Argentina and is planted in countries such as Mexico, the United States and Australia. While there are some lighter versions made for early consumption, a typical Tempranillo ages very well, anywhere from five to seven for a medium-bodied version to twenty to thirty years for a Gran Riserva Rioja. They pair well with most red meats and spicy dishes, from empanadas to game birds. 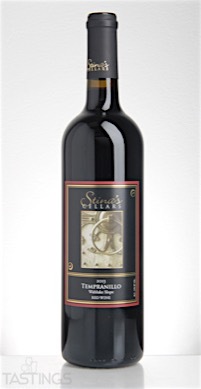 Stina’s Cellars 2013 Tempranillo, Wahluke Slope rating was calculated by tastings.com to be 91 points out of 100 on 3/10/2016. Please note that MSRP may have changed since the date of our review.